Excavation time is by far the biggest contributing factor in avalanche fatalities. By reducing or eliminating burial depth you substantially increase your chances of survival. The Float 30 is the first airbag that is both affordable and easily reusable. Back Country Access uses a smaller cylinder, single–chamber 150–liter airbag, and super–efficient venturi system to reduce cost and weight. The airbag itself not only helps prevent burial, but protects the head, neck and upper body from trauma. With its location behind the head and away from the hips and arms, it preserves the user’s peripheral vision and his or her ability to escape the avalanche before it picks up speed. Don't forget to check out the awesome discounts we can get you on last seasons packs, click here for more info. Chile is not that far away. Right? Got the itch to go catskiing, but it's summer where you live? Then get yourself to Chile where catskiing is just beginning at Ski Arpa. Open from mid-June to mid-October with an annual snowfall of over 16 feet, it may not be quite like skiing in BC, but hey, it's summer. It also sounds like an adventure of a place to get to, with a 108 km drive from Santiago, part of that on back roads. We haven't been down there yet, but if you have, drop us an email and give us your take on it. Host Anton "Toni" Sponar, who spends his summers in Chile while wintering in Aspen, and his son are out to show you a good time when you get tired of the beach in the north. Fancy the ida of cat skiing in a small group - ony six guests and two guides - skiing or boarding in steep, challenging terrain? This past season Mustang Powder Catskiing had a successful pilot project of 'Small Groups - Steep Chutes' ski program. This upcoming winter it will be an interesting and regular addition to the Mustang Powder Cat Skiing experience. What is the 'Small Groups - Steep Chutes' ski program? The crew at Valhalla Powdercats would like to extend a big thank you to all their guests for helping make the 2010 season a successful one. A shiny new look in on the way for a 2011 season. The snow base was good this year, and they want to remind you that they will operate as long as they have bookings - well into April. They are also introducing a spankin' greyhound-style bus next year to sweeten up the ride from the office to the cats - and if you had the chance to ride in the old blue school bus, you know this is an impovement. Martin can't wait to drive this baby! 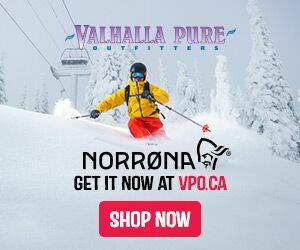 Besides the great new ride and the fact that Vallhalla Powdercats hasn't raised their prices in three years, they are offering a full cat shoulder season incentive right now. One payment of 50% secures your three day full cat package. Normally $3,885 per day ($11,655), they're offering this deal for only $10,500. VALID UNTIL JULY 1. 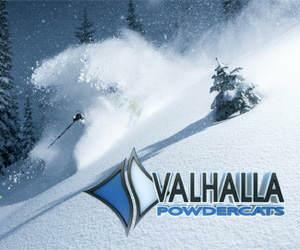 Check out the deals at Valhalla Powdercats. The winter season is over but we haven't stopped thinking about snow. So here's the deal: in preparation for next season, Back Country Access is offering a discount to our friends on all of their remaining 2009/10 season Stash packs (sorry, Float packs are not included). How do you cash in? Simply visit the online store, put the packs in your cart, and at checkout, enter the coupon code FRNDS10. You'll get a 25% discount on the retail price of any Stash pack you buy! Float Avalanche Airbag Packs: They've changed the material and styling—and added a diagonal ski carry system and hydration sleeve. Stash Packs: For 2010 Back Country Access re-worked and streamlined the entire Stash pack collection. This year they’ve also introduced their first-ever dedicated snowmobile pack, called the Stash Throttle. Probes: BCA has added grip tape to the probes and encased the Quickie loops with a robust cable housing for easier handling in winter conditions. Need help with an order? Call Back Country Access at 303-417-1345 and they'll answer any questions you may have. Better skiing - Means you ski that Big Red Cats can build more cohesive groups – this helps ensure that you only ski with other guests of a similar ability. (Big Red Cats is the only operation in BC to offer separate, Expert, Advanced and intermediate Cat skiing). Lower costs – skiing for C$350 per person per day is a great deal. Or picking up another day of cat skiing with Big Red Cats. The Guys at K3 Catskiing were out ski touring and scouting some new terrain for next season. There is an additional 400 acres of the burnt forest skiing area with an Eastern aspect, 350 acres of South facing steep (40 degrees) tree skiing, and over 600 acres of North aspect terrain with open alpine and then tree runs, ranging from 400 to 700 vertical metres. We can't wait to get out there and ski some of this new terrain. I know winter seems like a far way off, but If this skiing is anything like the other terrain we've skied there, it'll be worth the wait. Check out the full gallery of new terrain photos here. 4 Cat Skiing Operations Have Guides That Pass Canadian Ski Guide Level 3 Exam Last Week. Every 2 years (for the last 20 years) the Canadian Ski Guide association holds a 9 day long exam for ski guides that want to lead or supervise a cat or heliskiing operation operation. This winter 5 guides managed to pass this gruelling ski guide test. The exam involves terrain selection, group management, rescue, crevasse rescue, Transceiver search and much more. The crevasse rescue was held at 9,000 ft in the northern Monashee range. 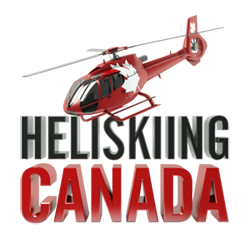 This course was hosted by Mike Weigle Heliskiing. The highest level of courses and Certification from The Canadian Avalanche association. We had the opportunity to ski at K3 for the first time this year, and I have to say, I sure hope we get back there again soon. It has made a great impression on us for a number of reasons, and I know we are not alone. The elements that have pushed K3 to the top of our to do list are: the terrain, the snow, the hospitality, and the ease of access. If you were to read no further, that would suffice as minimum practical info. But please, read on.